Irving live music in December features some powerhouse touring acts and more than a few holiday concerts for you to enjoy. Plus, there are plenty of recurring live music nights to help you get in a festive state of mind. This year, the Irving Arts Center is celebrating a Lone Star Christmas at the Irving Arts Center Annual Holiday Open House. Enjoy stilt walkers, jugglers, train rides around the center’s sculpture garden, cookies, and refreshments. The Lone Star Youth Orchestra and Irving Chorale and Momentum Dance Company will perform. The open house is free for all to attend and goes from 5:30 to 7:30 p.m.
After the Open House, stick around to catch Riders in the Sky perform a free show, A Cowboy Christmas. 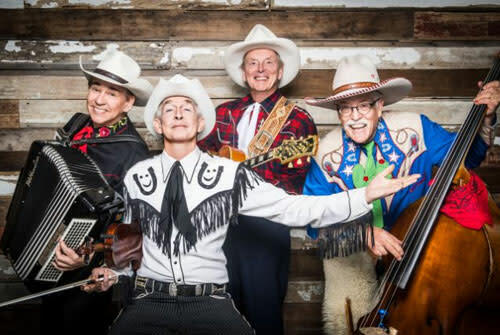 Grammy Award winners Riders in the Sky have performed in the tradition of the Sons of the Pioneers, Gene Autry, Roy Rogers, and others for more than three decades. Enjoy their special brand of humor and way-out West wit, they are sure to entertain the whole family. For a very distinct holiday concert experience, be sure to attend Home for the Holidays with the Irving Symphony Orchestra. This concert at the Irving Arts Center will feature many special guests, from Santa himself to the Irving Chorale with baritone Blake Davidson. So, sit back and delight in—and sing along to!—your favorite Christmas songs. At the intersection of Broadway and holiday music you’ll find Have Yourself A Broadway Little Christmas, live at the Irving Arts Center. This upbeat cabaret-style concert includes local singers like Amy Stevenson, Sherry Etzel, Ashley Kirkpatrick, Aubrey Nichols Ferguson, Shannon Davidson, Brandon Wilhelm, Craig Boleman, and Sam Swenson. Pam McLain will provide piano accompaniment for this energetic holiday singalong. Another must-see holiday concert taking place at the Irving Arts Center is Holiday of Color with the Las Colinas Symphony Orchestra. The concert features the soaring vocals of soprano Sara Gartland singing a program of timeless holiday favorites. 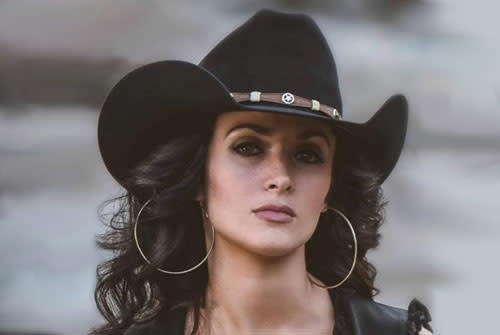 Head to The Ranch at Las Colinas for free live country music by Texas native Genevieve Allen. The singer-songwriter will play the guitar to her own original songs and covers that will make you want to grab a partner and dance. You can count on The Ranch at Las Colinas for live local music, and the last Friday of 2018 is no exception. Grab a seat near The Porch stage and get ready to be charmed by the country stylings of Darrell Goldman. Gather with family and friends for a warm Italian meal and soulful jazz at New York Pizza and Pasta’s weekly music series. Happening every Thursday, it’s a wonderful way to spend a cold December evening. The OUTLAW Taproom at the Four Seasons Resort and Club features live music Thursday, Friday, and Saturday nights from 6 to 9 p.m. Sip a beverage by the fire while discovering a local artist. Every Thursday, Junior do Cavaquinho performs his special bossa nova music at Boi Na Braza Brazilian Steakhouse’s Ladies Night. Munch on sumptuous Brazilian cuisine, enjoy drink specials, and dance the night away. 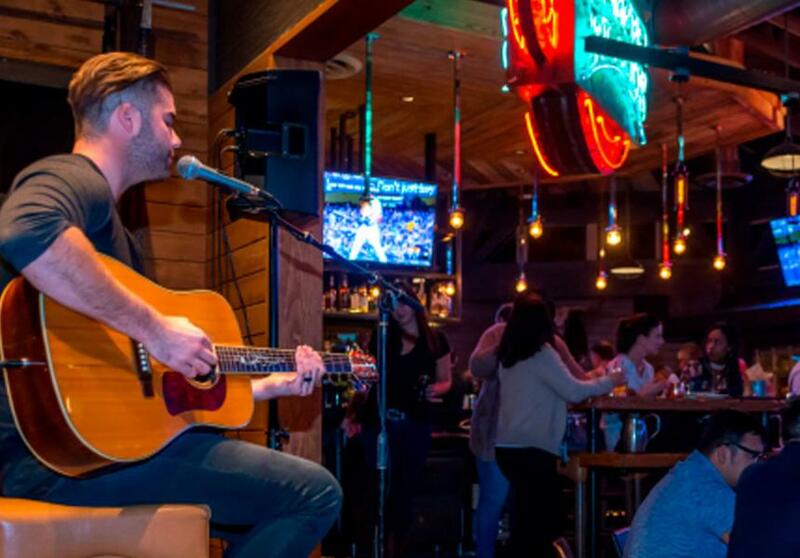 For a relaxed way to watch local musicians, plan to come to Texas Local Live, a weekly Monday night music series featuring local acts on an intimate stage at The Ranch at Las Colinas. 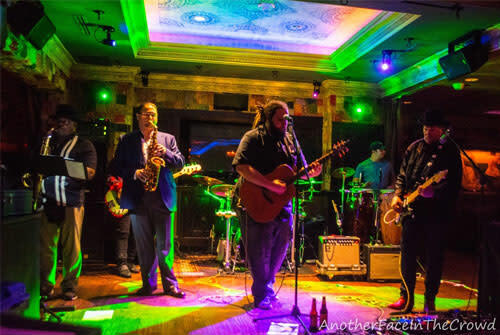 Late-night live music happens every Friday at Bar Louie starting at 9 p.m. Catch Jake Odin and the Marching Band on December 7, and Skinny Blew on December 14 for this month’s Live at Louie’s performances.